Marc McNulty claimed a second-half double to take his tally to six goals in only four matches as ten-man Hibs came from behind to claim their first win over St Johnstone in more than five years. A dismal first half from the Easter Road side saw them trail to a Chris Kane strike but a needless foul by former Hibs captain Liam Craig on Swiss striker Florian Kamberi gifted his old club a penalty which was gleefully thumped home by McNulty. But Vykintas Slivka left his team-mates a man short when, having picked up a silly booking for a blatant dive, he was yellow-carded again for a trip on Saints hitman Tony Watt, an action which earned him an early bath. A point would probably have satisfied the travelling support at that stage but a wonderful through ball from second-half substitute Stephane Omeonga put McNulty in for his second of the game to give new boss Paul Heckingbottom his third successive win, one which leaves them three points ahead of Saints in sixth place. Among the spectators at McDiarmid Park was 32-year-old American international defender Jonathan Spector, a signing target for Heckingbottom. Spector, who joined Manchester United as a teenager before playing for West Ham and Birmingham, is a free agent after being released by MLS side Orlando City. 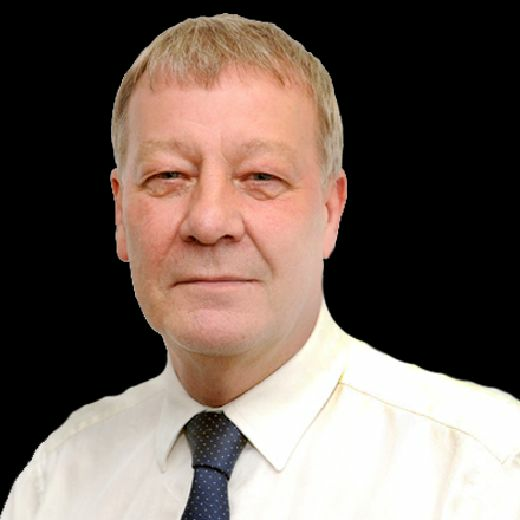 With Ryan Porteous out for the season following knee surgery and Efe Ambrose having left In January after invoking a clause in his contract, Hibs are short of numbers in central defence so a short-term contract, with a view possibly to a longer deal in the summer, would help solve that particular problem. Hibs had already survived an early penalty scare, former Easter Road midfielder David Wotherspoon going down under Darren McGregor’s challenge before Saints, unbeaten by the Capital side in league business since September 2013, got their noses in front. Wotherspoon’s deep corner was nodded down by Jason Kerr into the six-yard box where Kane swung his boot only to see goalkeeper Ofir Marciano parry his shot. But the ball sat up nicely again for the Saints striker to thump it home and put Hibs behind for the first time in Heckingbottom’s short time in charge. 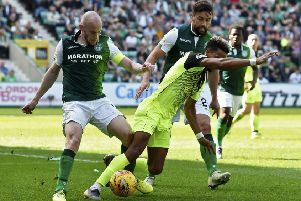 Saints had obviously identified such a cross as a threat to Hibs, Wotherspoon swinging in another from a free-kick for Kerr to get his head on- but referee Gavin Duncan had spotted a push in the crowded penalty area. Other than a couple of tame shots from McNulty and Daryl Horgan which were easily gathered by one-time Hibs goalkeeper Cammy Bell, Hibs had shown nothing in the opening half-hour while Lewis Stevenson almost gifted Saints a second, heading Tony Watt’s cross down to the feet of Matty Kennedy but redeeming himself at the cost of a corner. The Perth side were happy to let Hibs have the ball, but denying them the space to work any meaningful openings and then to hit at pace on the counter, Wotherspoon finding Kennedy, who just as quickly moved on the ball on for Kane, his shot fizzing inches wide. Hibs had struggled to make any impact on the match, Hanlon escaping with a yellow card for a tug on Kane which prevented the Saints hitman from outpacing him and getting a free run in on Marciano. Heckingbottom would undoubtedly have been happy to get his players back to the sanctuary of the dressing-room just that one goal behind at half-time, anxious to use those 15 minutes to impart his feelings as to what was needed to rectify what had been a miserable performance thus far. But it was Saints who were right at it again, Scott Tanser driving in a low cross which was met by the head of the diving Kennedy, the ball flying just wide of Marciano’s front post. The Hibs head coach had obviously not been able to get all his thoughts over during the interval, handing Mallan a note presumably containing further instructions as Slivka, having been booked for diving, tested referee Duncan’s patience with a trip on Kane. However, for having been decidedly second best for an hour, Hibs were thrown a lifeline when their former captain Craig, now skipper of Saints, needlessly fouled Kamberi, the Swiss striker with his back to goal and on the bye-line as he gathered David Gray’s low cross. Referee Duncan immediately pointed to the spot and, after a short delay as the home players argued the toss, McNulty stepped up to slam the ball home. Hibs, though, almost immediately found themselves under pressure as Slivka, who had been treading a fine line, picked up his second booking for tripping Watt, leaving his team-mates to play a man short for the final 23 minutes. Heckingbottom, no doubt wishing he’d replaced the Lithuanian internationalist before then, gave it a few minutes before bringing on the imposing figure of Marvin Bartley to shore things up in the middle of the park. And they did more than that, Stephane Omeonga spotting the run of McNulty and supplying a slide-rule pass for the striker to clip it over Bell to give the Capital club what had looked for much of this match an unlikely victory. St Johnstone (4-4-2): Bell; Foster (Hendry 86), Kerr, Shaugnessy, Tanser; Wotherspoon (Alston 77), Davidson, Craig, Kennedy (Swanson 82); Kane, Watt. Unused subs: Hurst, Gordon, Goss, Callachan. Hibs (4-4-2): Marciano; Gray, McGregor, Hanlon, Stevenson; Mallan (Omeonga 62), Slivka, Milligan, Horgan (Bartley 70); Kamberi, McNulty (Mackie 89). Unused subs: Dabrowski, Bigirimana, Allan, Shaw.